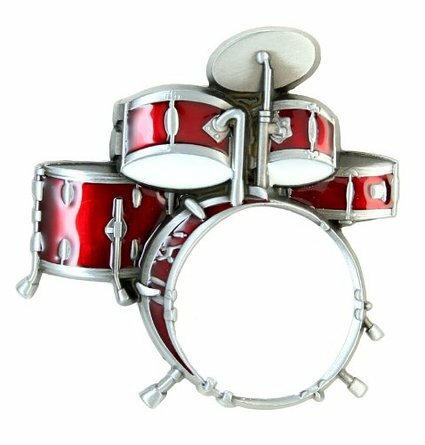 Red Drumset Belt Buckle – Add a little bit of personal style to your wardrobe with this unique accessory! This gorgeous red and silver buckle features an intricately detailed 5 piece drumset that will surely grab people’s attention. Crafted from high quality pewter, the buckle is also coated with enamel giving a beautiful glossy shine as well as protection. A great gift idea for the passionate fashion forward drummer. Size: 3.5″ x 3.5″.